I was 14 & I still believed in Santa Claus. My parents still hadn’t told me the truth yet. About how they’d been lovingly acting as Santa all those years. They hadn’t told me, mostly for the sake of my younger sister. My parents didn’t want her to stop believing in the magic of Christmas as young as she was. I had my doubts, & they’d grown a little year after year. But I still believed. Who was Santa Claus? 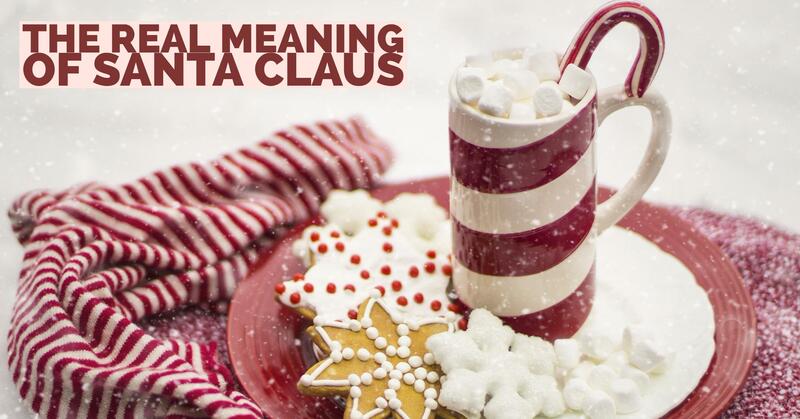 What was the gift-giving associated with Santa really about? I wrote the following definition after reading an article in an old issue of Guideposts magazine. Then I emailed it to everyone in my family. They loved it. Here it is, with a few minor edits. “Who is Santa Claus? Now, to most people, Santa is a charming man with a plump belly, white beard, sleigh full of toys, and reindeer. A man who brings presents at Christmas. But Santa is much more then that. He is a figure that withstands all time and boundaries. He is a figure of hope to those who need it most. So, why can’t ANYONE be a Santa? Not THE Santa, but A Santa. Who says there can’t be more then one Santa? Image if all of the gifts given in the whole world were only given by Santa? Santa’s mission is to make dreams come true. So, make some dreams come true. Whether you believe in Santa or not, that feeling of giving will still reach you. So, give. Give what you can. Just think of the drummer boy. I mean, he only had his drum’s music as the only thing he could give to Jesus. But he still gave gifts at Christmas. So, do the same, no matter what you have or don’t have. No matter how much money you have or how little. Give a song. A poem. A story. A “Merry Christmas.” Even a simple smile. Anything. Just give what you can to who you can. Make some dreams come true. It was 2008 & this was the year that I finally started realizing that the world was a bit more challenging then I’d previously thought. But it was still good. And despite the uncertainties, there still was magic that existed in a realm of equal uncertainty, but still could be felt.